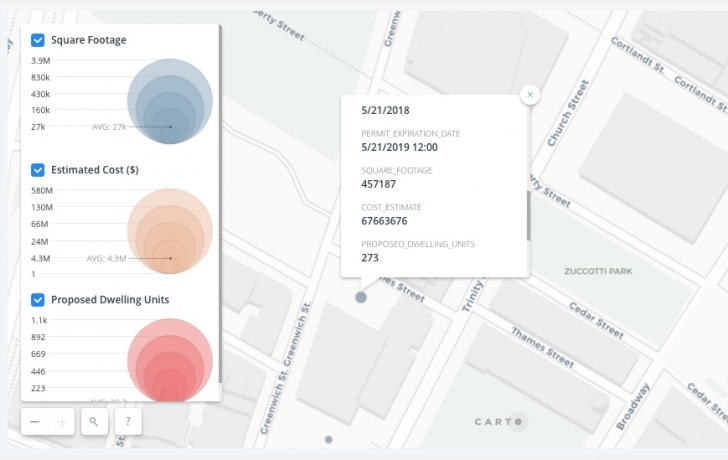 A detail from the Department of Building's real-time map of construction projects showing the building's square footage, estimated cost and proposed number of dwelling units. Living with all the construction in New York City may be as difficult as ever, but getting more information about those often aggravating projects is now easier. The city’s Department of Buildings has created a real-time interactive map of major construction projects in the city that lets you zoom in on a building of interest. Once there, it shows active DOB permits (and when they expire) as well as other information on the project, with links to full details on the agency’s searchable online database.